To most people, if you discuss the Close Protection Industry and the role of Bodyguards, they will revert back to the film The Bodyguard and Kevin Costner’s character: Frank Farmer. And like it or not, that is how most people see Bodyguards: thirty something, military/police/government service career, fit, dynamic and intelligent. Well, ok, today’s Executive Protection Agent/Bodyguard should be something like that: a melting pot of background experience, qualifications, intelligence, fitness and vigour! 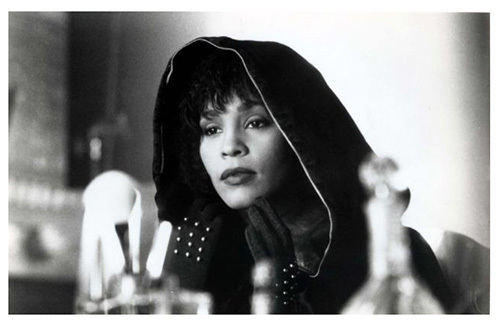 The 1992 film, The Bodyguard, starring Kevin Costner and Whitney Houston is remembered by some, more for its soundtrack than its storyline. The Bodyguard soundtrack album quickly became the best-selling soundtrack of all time worldwide, with sales of more than 45 million copies. Since the release of the film in 2012, the story has been adapted for the stage by Alexander Dinelaris as "The Bodyguard Musical" in London; enjoying so far a six-year run at the Adelphi Theatre. The Bodyguard Musical has also been performed on stages worldwide, including a US version starring Beverly Knight in the lead role. Interestingly the on-screen dynamic could have had a very different feel, had it come out when first proposed in 1976, with Steve McQueen and Diana Ross as the lead characters. As celebrities' public profiles grow, security can be the last thing to catch up. This is why periodic Security Reviews are so important! They will highlight any failings in technical or physical security processes, and of course, the aim is to provide solutions to improve, based on the report findings. What is clear from that plot, is that our starlet Rachel is not keen at first on professional security and is concerned that it will be over-bearing and be restrictive to the life of her young son. Again, this concern is not at all uncommon among Ultra High-Net-Worth Individuals (UHNWI) and celebrities, who are not used to professional security. Any professional security service will fit around the client’s lifestyle and be as unrestrictive as possible. Sure, there will need to be changes made and people will have to adapt to those changes. But the best possible aid in a holistic approach to security, is getting everyone to 'buy into' those changes; communicating that can be a challenge in large households or among supporting personnel. Early on in the plot, Farmer discovers that the young Chauffeur 'Henry' has had no formal training and sets about giving him some instruction in Defensive Driving. Ideally, a Security Trained Driver or specialist Chauffeur would have been employed in this role, as it's not ideal training people on the job! A Chauffeur plays a key role in the security of a client and as such, should have a professional driving background, as well as formal security/driver training. There is plenty of precedent set in regards to determined intruders gaining access to victims homes. This list of course includes the Queen, who once famously found an intruder (Michael Fagan) at the foot of her bed. This incident was in 1982 and was Fagan's second atempt at gaining access to the Palace, the first attempt was just a month before, when Fagan fleed after 'startling' a housemaid. Although, we have used this example before in other blogs, Kim Kardashian was in exactly this position in 2016, when she was subjected to a robbery in Paris. A robbery that could have had a very different outcome. Like our starlet Rachel Marron, Kim Kardashian had grown in international profile, was surrounded by the wrong people and was using a Bodyguard (Pascal Duvier) who was not fit for purpose, was bankrupt and working unlicensed. This is not at all uncommon with people in the public eye. Within a short period, celebrities can very quickly find themselves catapulted into the limelight of the global stage; a position that brings threats and risks that can be unforeseen if not prepared: overexuberant fans, stalkers, blackmailers, or criminal gangs seeking rich pickings. Let’s deal with the stalking element of the storyline, you may see this as an over the top plot line, but it's not. Let’s remember that the story is set in the 1990’s, long before cyber-stalking and trolling was ever a concern. Stalking is a major issue with celebrities, especially an issue with female celebrities and those involved in the Fashion or Music industry. Without going deeply into the psychology of stalking, most celebrity stalking cases are based on the stalker's feeling that he/she has a personal connection with the victim or romantic involvement. If you want to know more about celebrity stalking, see our article: Celebrity Stalking Cases. In combatting stalkers, it is important that the amount of information that is put into the public domain, either by the celebrities themselves, those in their inner-circle or via PR agencies, is controlled and measured. There is a fine line between PR and information that can put the celebrity at risk; managing that personal information is an important part of managing the online presence. We live in a world of instant posts on Social Media, including: ‘checking in’ at locations and being ‘tagged’ into posts. It does not take much investigation for a determined stalker to follow-up on that information to gain close access. Part of any Bodyguard worth his salt will be able to advise clients on their use of social media. For more information on this subject, see our blog: Social Media, your ego and security. The fact is, Bodyguards do work very closely with their charges and as in any walk of life, as relationships deepen, romance can develop. The issue here is - as a professional Bodyguard, you will have crossed the line at getting too close and too familiar. A professional Bodyguard should always maintain that professional and emotional distance between a client and his or herself. You cannot advise or be objective if there is a close emotional tie. At that point, the level of service provided is diminished to the point where any security provided will be ineffective. There are quite a few examples of Bodyguards being romantically involved with their charges. A well-publicised example being HRH The Princess of Wales and her relationship between herself and her Bodyguard, Barry Mannakee. Although Diana never publicly admitted having the affair, Mannakee was removed as her Personal Protection Officer, as it was deemed that there was an "inappropriate" relationship. Barry Mannakee died in a motorcycle accident a year after, leading to speculation of foul-play. Diana herself spoke in later years (on the ‘Diana Tapes’) that she was once "deeply in love with someone who worked in this environment. ", and said: "I was only happy when he was around" and his death was "the biggest blow of my life"; it is widely thought that she was referring to Mannakee. 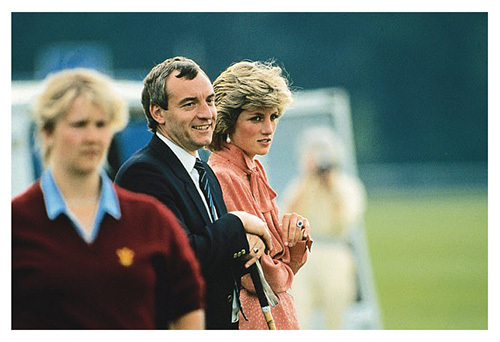 Whatever the true nature of the relationship between Diana and Mannakee, it was deemed inappropriate enough for his removal from his post as Personal Protection Officer. History is full of real-life stories of contract killers, most of which are involved with organised crime gangs. How this 'Contract Killer' is dealt with during the film does stretch reality. You would want to hope that a professionally trained Secret Service Agent in the form of Frank Farmer, would know when to increase the size of the security detail. One man cannot be everywhere all the time, and in reality with a celebrity of Marron's stature, given any credible threat, you would look at increasing the team to include Protective Surveillance. In recent history there are few examples of contract killers, but plenty of celebrities have been shot and killed, notably John Lennon in December, 1980, by Mark Chapman. It is not certain if Close Protection would have saved Lennon, but solid security would have sure been a significant deterrent. Chapman later said that he had an 'alternate hit list' that included David Bowie, but that John Lennon seemed to be the easiest to find. Bowie was appearing on Broadway in the play "The Elephant Man", ironically, Chapman had front row tickets for the performance the day after the Lennon killing, so did John Lennon and Yoko Ono! Bowie later recalls that there were three empty front-row seats at that performance. The Bodyguard film – Fact and Fiction! So, the fact is that the storyline of The Bodyguard film, while seen as “cheesy” by many, is not only believable, but also based on real life scenarios, as given in our examples. There was talk of a “The Bodyguard” sequel and even a remake of the film. If either were released today, it would surely mirror some modern examples that we have discussed. In 2011, it is said that Rihanna turned down an offer by Warner Bros to be involved in a remake, so maybe we will have to wait! Being a provider of Executive Protection Services, when we advise clients, we do so knowing that in the worst-case scenario, the advice we have given may be tested and questioned in court. Was one Bodyguard at all adequate to a celebrity facing the ongoing threat of a stalker? Why a total lack of Police liaison given the severity of the threats? How might a personal/romantic relationship affect the ability to provide an appropriate level of security? Of course, The Bodyguard is just a film, and like any film can be dissected by professionals who work in the field covered. On a serious note, the film could not have portrayed the professional Bodyguard industry in a worse light, inadequate security and personal relationships, needlessly putting a client at risk. All security employed should be done with sensitivity and be part of a measured approach based on a Security Review. It is easy to scale down security, but being ever reactive, rather than proactive, puts huge pressure and strain on existing personnel. Want to know what Police and Industry insiders thought of the 2018 BBC series "Bodyguard"? Head over to our article on the subject: BBC Bodyguard Series. If you would like to hire a Bodyguard and want to know more about our services, please see:How to Hire a Bodyguard.